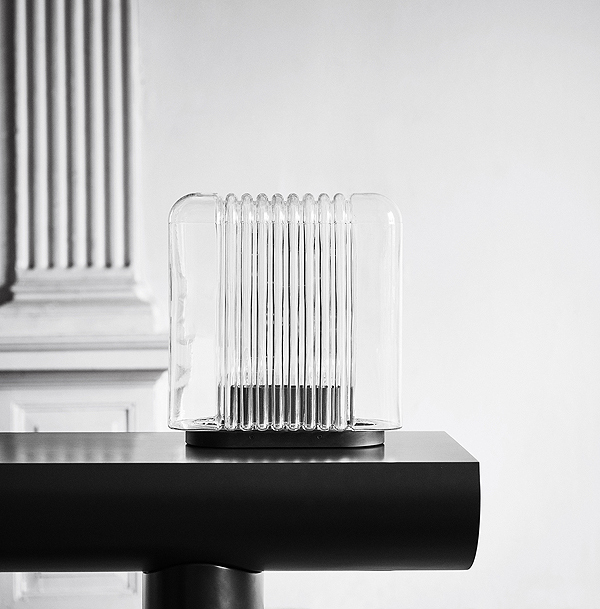 During Milan Design Week 2018, Karakter unveiled new iconic products by Angelo Mangiaroti (photo), Paul McCobb, Joy Charbonneau and Derek McLeod, Bodil Kjær, Nick Ross and Aldo Bakker. 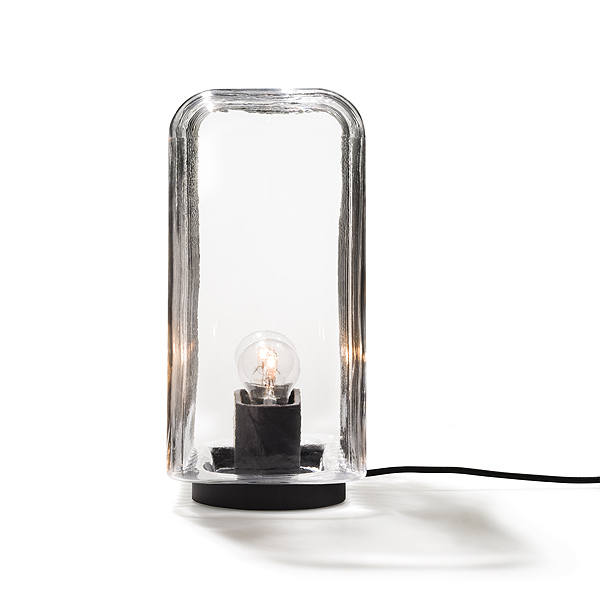 Karakter is a Danish design brand specialising in the production of furniture, lighting, and interior objects. Karakter seeks out designs that are out of the ordinary—from designers who have already written the history of design to those who aspire to write the future. All the designers presented by Karakter Copenhagen are handpicked for their ideas and creativity and shared by all of them is an inspiring level of productivity and an uncompromising take on their work. Something that is also fundamental for Karakter and his design choices. Lari by Angelo Mangiaroti (1978). The Lari Lamp , mouth blown in one single piece, that are held together by the base, which also supports the electrical system evokes, on a small scale, some suggestions of Angelo Mangiarotti’s previous architecture. Italian architect, sculptor, and designer Angelo Mangiarotti was born in Milan in 1921. Mangiarotti is quoted to have said, ”Happiness comes from honesty”. A quote that hints to his over all design approach that was rooted in the firm belief that architecture was a practical discipline – and that industrial design was an expression of fine craftsmanship. He wanted each individual material to be respected and to be used in an appropriate and honest way. Beyond his many architectural feats, Mangiarotti’s work includes a wide array of creative projects ranging from sculptures, to products and lamps. Over the course of his career, he held lecturing positions at a number of distinguished design and architec- ture schools in Italy and abroad, he won numerous awards in both design and architecture, and his work has been featured in many exhibitions worldwide, including the Centre Pompidou in Paris, Triennale Design Museum in Milan, and Gallery MA in Tokyo. Desk and desk organizer by Paul McCobb (1952). Paul McCobb(1917-1969) was one of the leading contemporary furniture designers on the American design scene in the 1950s and 1960s. Over a timespan of twenty years he designed an impressive range of multi-functional furniture, accessories and textiles, as well as several notable interior design projects. McCobb often offered a playful take on traditional forms with hints of Scandinavian craftsmanship and International style clarity, often made with affordable and robust materials such as iron, solid wood and durable upholstery. Since his early death in 1969 his designs have not been in production, but are now making their way back. 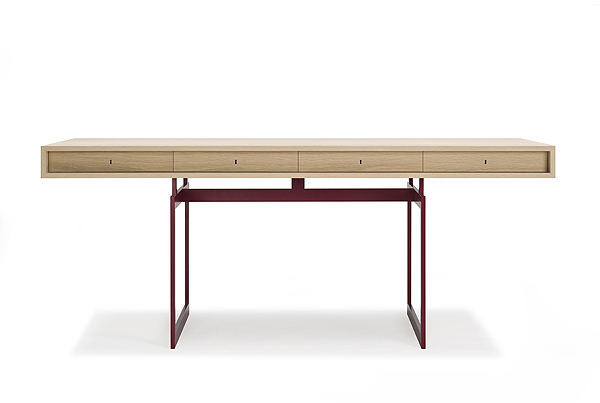 The foundation of the series is a beautifully simplistic console table/desk with slim and straight steel legs, stripped from any details or ornaments, leaving two small drawers on the left for small keepings. If you wish for more storage the drop lid desk can be added, available in the same oak veneer and comprising of two separate rooms, the largest one with a door that can be closed and locked or kept open and used as dedicated working space. 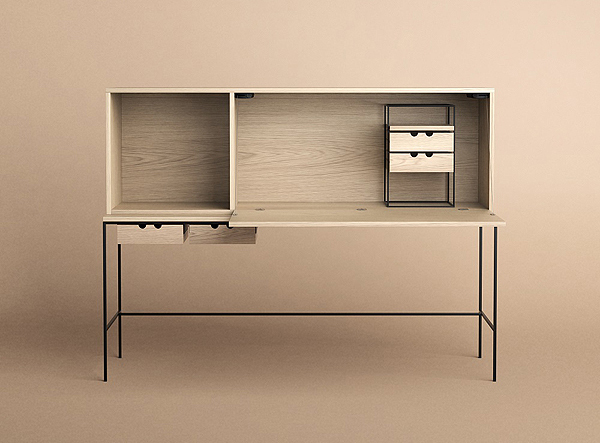 If more storage and distinctive- ness is needed, add the third piece in the series, the two-drawer organizer that resides on the same slender leg construction as the table itself and has the same playful two-finger opening system as the drawers in the desk. The two-drawer organizer can be placed inside the desktop where it fits perfectly or underneath the desk, besides the desk or used as a standalone item next to sofas or beds. Coffe table by Paul McCobb (1950). Paul McCobb’s playful take on traditional forms with hints of Scandinavian craftsmanship can be seen clearly in his Steel leg collection from 1957. 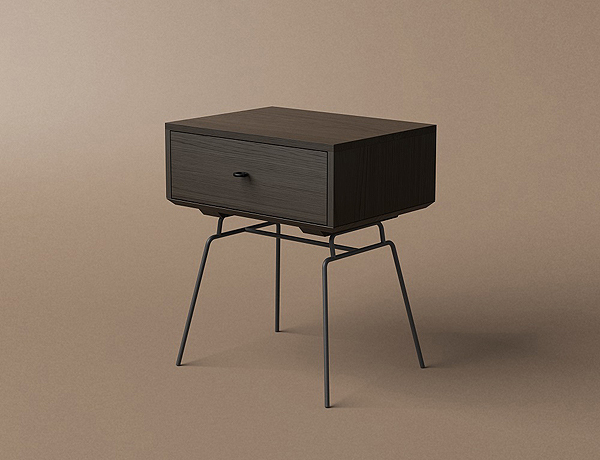 Originally the series consisted of a wide range of pieces – desks, dining tables, bedside tables,chairs,anddrawerunits–allofthesesetonthesameslimsteelconstruction. In 2018, Karakter will launch three pieces from the original collection, McCobbs’ Coffee table, Occasional Table and the one-drawer Bedside table in oak and smoked oak, both resting on the distinctive black steel legs. Hang around coatrack by Joy Charbonneau and Derek McLeod. Since 2008, Joy Charbonneau and Derek McLeod have established reputations for their their timeless furniture, objects, and art for contract and residential markets. Their work is archetypal, usable and elegant – objects that make life better by looking and performing well. Karakter first piece from Canadians Joy Charbonneau and Derek McLeod is Hang Around, a beautifully updated version of a classic coat rack. The Hang Around is spacious and has a round and soft look that contrasts well to the sturdy iron material and the matte polished finish. 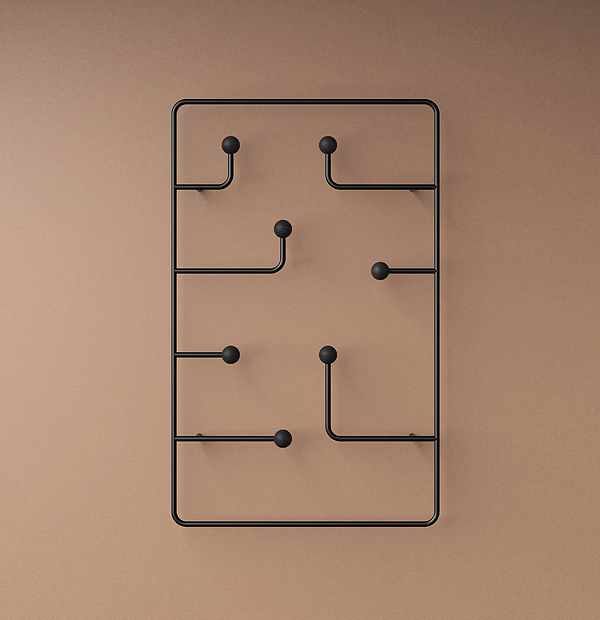 Seven dedicated pegs and their respective bars are ready to add a welcoming and distinctive vibe to hallways and bedrooms, waiting areas, hotel lobbies and restaurants. 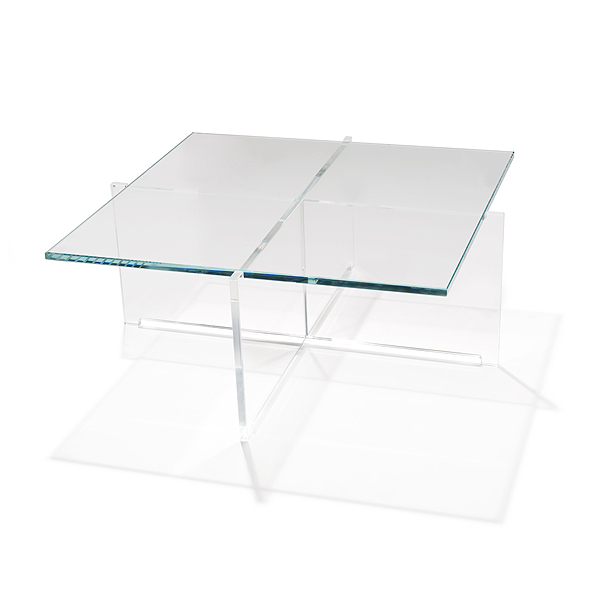 Office desk and Cross Plexi coffee table by Bodil Kjær (1959). Karakter is proud to present his first design from a Danish designer. In this case, Danish architect, professor, and designer, Bodil Kjær. 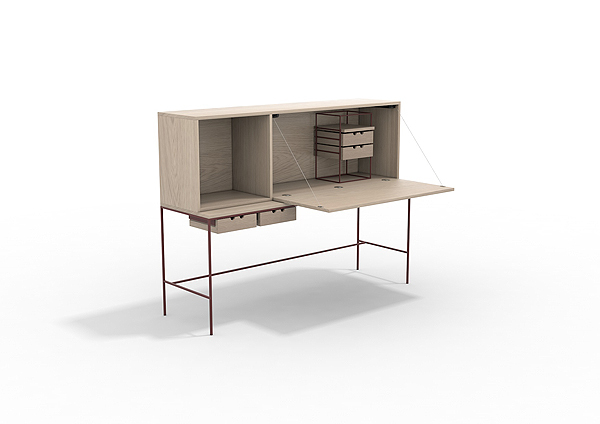 The iconic desk, designed in 1959, was the first of its kind with its pure and simplistic design, almost floating mid-air. Bodil Kjærs’ design has been called ‘The most beautiful desk in the world’ – or, the ‘James Bond desk’ as it was featured prominently in three early Bond movies. Professor, Architect MAA, Bodil Kjær was born in Denmark in 1932, and has since then led an impressive life all around the world. She was educated in Denmark, England and the States, and practised as an architect, designer and planner from her own offices in both Copenhagen and London. She’s been featured in the New York Times, her work can be seen in three early Bond movies, she’s got fans in the English Royal House, and she’s been know as the designer behind “The most beautiful desk in the world”. Ironically, the designer herself never really sought out fame or glory, but was always driven by the desire to educate herself, become better in her field, and to set new standards. A drive that meant her career also expanded into teaching, research, and professorship. Today, Bodil Kjær is back in Denmark and lives on the east coast of Jutland where she continues to teach, do research and participate in the architectural development of the city of Aarhus. Pearl Pendant by Nick Ross. Pearl is a lamp in glass that references modernist Danish lighting archetypes but with a softer, more feminine appearance. A symbol which has been used many times throughout history; from the portrayal of Venus to its use in Vermeer’s ‘Girl with the Pearl Earring’, the pearl is associated with purity, water and wom- en. 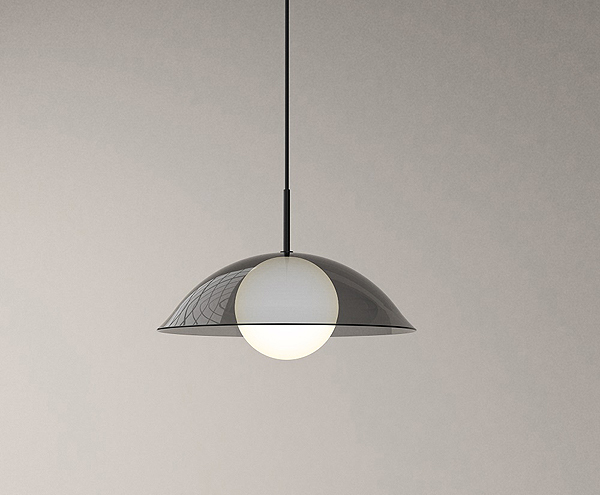 The layered, mouth-blown glass creates a soft lighting effect as light passes through the outer glass dome, a reference to the effect created when light pass- es through water. 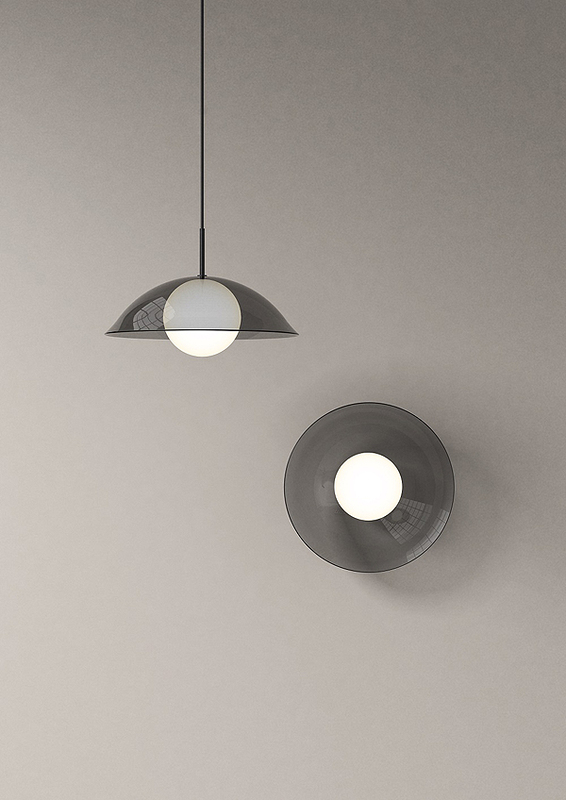 The lamp consists of an inner glass sphere that contains the light source, and an outer glass dome that acts as a soft diffuser. A mix between classic globe lighting and shaded lamps which is easily mounted on the wall or hung from the ceiling. Nick Ross (1986) is a designer from Scotland who presently resides and works in Stockholm. In Scotland, he studied Product Design at Grays School of Art in Aberdeen and afterwards moved to Stockholm, where he continued his training in Interior Architecture and Furniture Design, taking a masters at Konstfack (University College of Arts, Crafts and Design) graduating in 2013. Nick founded his own studio in 2014. His research focuses on the complex repertoire of history, particularly ancient history, where he finds the factors with which to interpret the relationship between the user and contemporary design. Using storytelling as a pretext and applying an always critical approach, Nick Ross is interested in investigating facts and happenings that have determined specific cultural balances; every project comes from the desire to create ideal or real bridges between the present society and that of the past. 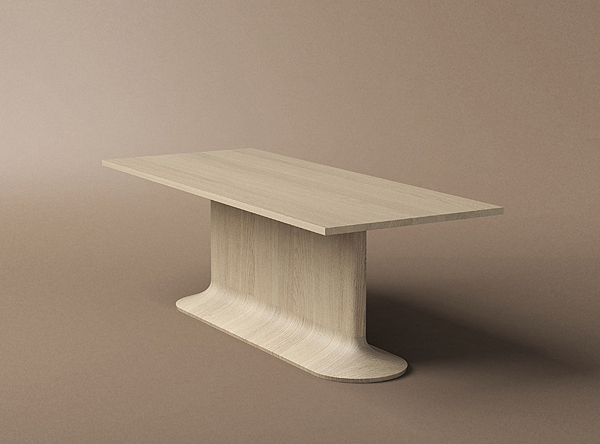 No.One dining table by Aldo Bakker. Dutch designer Aldo Bakker has an uncompromising take on design, and his unique de-construction of classic functional furniture is also evident in our latest production of his work, the No.One dining table in solid oak wood. The design centers around a very distinctive foot, a base that appears almost alarm- ingly slim when seen from the ends. 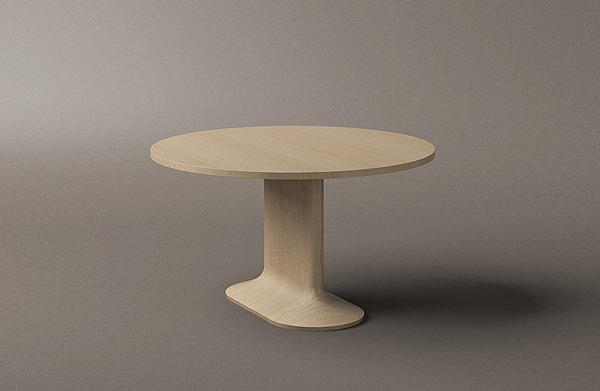 But thanks to the oblong shape that supports almost the full length of the 2.2-meter solid oak tabletop – Bakker’s dining table isn’t going anywhere. No.One dining table as available as a large rectangular table or a smaller circular table. The definition of Karakter : If we had to choose between xxxxxxxxx and xxxxxxxx we would most definitely go for xxxxxxxx. You must be risky and adventurous on your choices in life. xxxxxxx is is a great example on that. Otherwise it’s just like buying a Mercedes and never taking it above 100 km/hour. And nothing good can come of that. For some reason we’re often asked on our opinion on xxxxxxx. People must put us in the same kind of category. Which is a huge compliment. *All brand names are deleted due to intellectual property rights. Those, we take very seriously.